These simple pinquito beans are traditionally served as part of Santa Maria Barbecue: Grilled Tri-Tip Steak, Piquinto Beans, Salsa Fresca, Tossed Green Salad, and garlic bread. 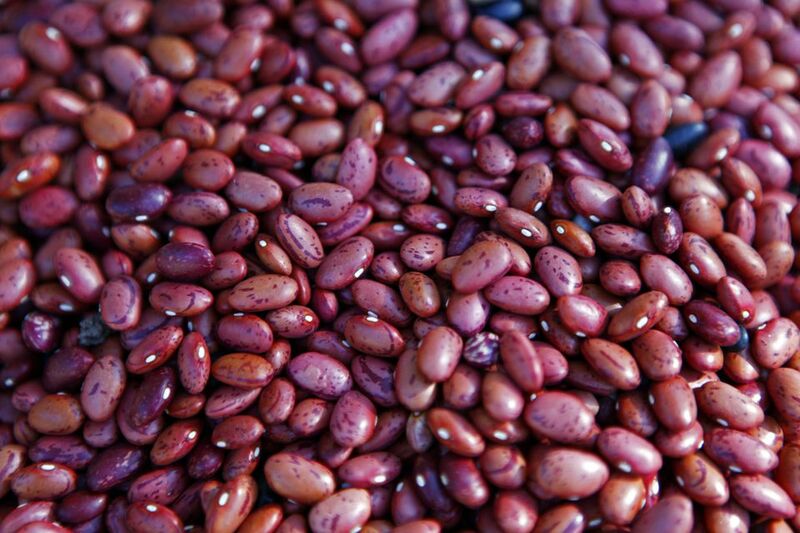 Put the beans in a very large bowl, cover with cool water, and let soak overnight or use the ​quick soak method. Drain the beans and put them in a large pot. Cover the beans by at least 2 inches of water and bring to a boil. Add the salt, reduce heat to maintain a steady simmer, and cook until the beans are tender to the bite but not mushy. Time will vary from 20 minutes to over an hour depending on the variety of bean and how old they are, among other factors. Remove from the heat and reserve 1 cup of the bean cooking liquid. Drain the beans and return them to the pot with the reserved liquid. Add the tomatoes, garlic, brown sugar, chili sauce, dry mustard, and salt to taste. Bring to a boil, reduce heat to simmer, and cook until the flavors blend about 10 minutes.